Mon., Nov. 28, 2016, 9:58 p.m.
SEOUL, South Korea – South Korean President Park Geun-hye said Tuesday that she will resign her office once parliament develops a plan for a safe transfer of power, amid prosecution claims that she colluded with a friend who wielded government power from the shadows. Hundreds of thousands of people have gathered in Seoul each Saturday for the last five weeks to demand that Park step down amid prosecutors’ claims that she colluded with a confidante who allegedly manipulated power from the shadows and extorted companies to amass an illicit fortune. Park would be the first South Korean leader to resign since the country’s first president, Syngman Rhee, quit and then fled to Hawaii amid a popular uprising in 1960. The succeeding government was overthrown by a coup by Park’s late father, the military dictator Park Chung-hee, whose rule also abruptly ended after he was assassinated by his spy chief in 1979. 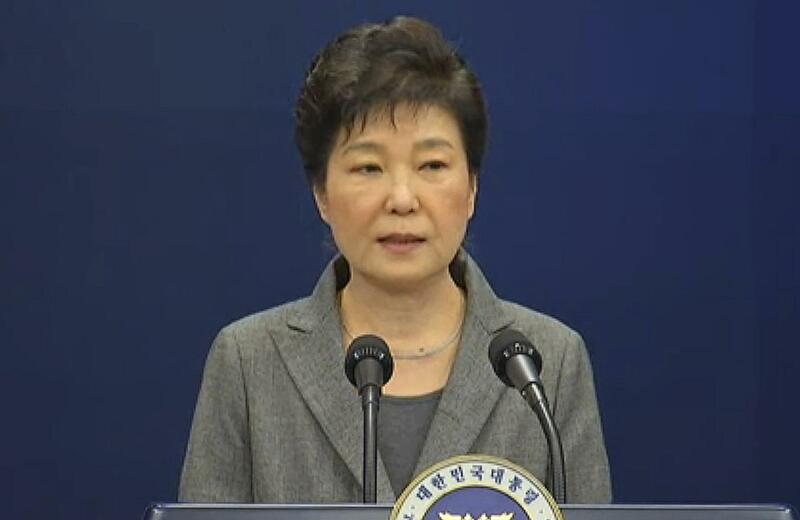 Opposition parties had been closing in on an impeachment motion against Park, and even her allies in the conservative ruling party have called for her to “honorably” step down rather than face impeachment. An impeachment motion vote had been planned for Friday. The country’s two largest opposition parties were also planning on Tuesday to nominate a special prosecutor to independently investigate the scandal. At the heart of the scandal is Choi Soon-sil, Park’s longtime friend and the daughter of a late cult leader who allegedly meddled in state affairs and pressured companies to donate millions of dollars to foundations controlled by her at the request of Park. Park, who has immunity from prosecution while in office, has refused to meet with prosecutors. Her lawyer, Yoo Yeong-ha, has described prosecutors’ accusations against Park as groundless. Published: Nov. 28, 2016, 9:58 p.m.